Below you can view all the homes for sale in the Highlands Ranch Southridge subdivision located in Highlands Ranch Colorado. Listings in Highlands Ranch Southridge are updated daily from data we receive from the Denver multiple listing service. To learn more about any of these homes or to receive custom notifications when a new property is listed for sale in Highlands Ranch Southridge, give us a call at 720-606-6881. 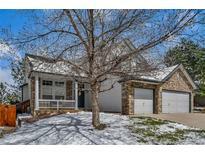 Come take a look at this great Highlands Ranch home and let me know if you have any questions. MLS#2977067. BSW Real Estate, LLC. Very Well Cared For Home By Owners! ! MLS#9993502. Signature Real Estate Corp.. This gem won't last long, book your showing today! MLS#2378823. Redefy. Blocks from Award winning Bear Canyon Elementary. This one will go quick! MLS#5078227. HomeSmart Realty Group of Colorado. This home is in true move-in condition & ready for your family! MLS#3679197. RE/MAX Leaders. Do not miss out on your chance to own this beautiful property! MLS#6390107. eXp Realty, LLC. If move-in ready is at the top of your list, this is it! MLS#1733952. Neoteric Living, LLC. OPEN HOUSE Saturday, March 2nd 10am-2pm. No showings until open house. MLS#2598400. HomeSmart Cherry Creek Properties. Won'T Last Long! Show And Sell Today! MLS#7319755. Brix Real Estate LLC.